Do you feel like you are stuck in a rut with your current workout routine? Maybe you just aren’t seeing the same results before or your general performance isn’t improving. Either way, it is probably time to overhaul your exercise routine. Now, the good news is that you don’t always have to start from scratch. However, here are a few things that you should start consider doing. Whether you realize it or not, you probably utilize one side of your body more than the other. This is something that most people are guilty of. This is why you may have noticed the one side of your body is improving a bit more than the other. Well, if you are looking to even things out, then you should consider unilateral training. This type of training can help to stabilize your muscles, improve your balance, and can even make it easier for you to lift heavy weights. Here, you will be doing workouts that focus on one limb at a time. Lunges, one-legged squats, and split squats are all good examples of unilateral training. What the hell is explosive training? It is a common question. Let me explain in a single sentence. There are two type of muscle fibers fast twitch muscle fibers and slow twitch muscle fibers. If you are training is like an old school bodybuilder, most probably you are focusing only for slow twitch fibers. Including exercises like box jump, one-legged box jump, kettlebell swings, lateral bounding and plyometric push-ups will give explosive nature to your workout routine and ultimately it will help you to target fast twitch muscle fibers. Circuit training is developed by R.E. Morgan and G.T. Anderson in 1953 at the University of Leeds in England. The concept behind circuit training is that, instead of completing a set you will move from one exercise to another exercise with no rest or with minimum rest to complete one circuit. Then you repeat the cycle of circuit for 5 to 10 times. Do you need more science back up? A study conducted in Baylor University and The Cooper Institute found that circuit training is the most efficient way to improve cardiovascular performance and muscle endurance. HIIT stands for high intensity interval training. As the name indicate the goal of this HIIT training is to increase the intensity of your workout. To achieve that goal you need to give a quick and intense bursts of exercise for short time, followed by short, sometimes active, recovery periods or completely rest. Normally the work to rest ratio can vary from 1:1 to 1:4. The next thing you need to stop and think about is your gear – do you have exactly what you need to make the most of your workout? See, it is incredibly important for you to wear and have the proper gear when you exercise. Not only can it cut down on injuries, it can also ensure that you are achieving peak performance, every time that you exercise. So, if you are someone who hits the treadmill or runs a few miles each day, then make sure that you have the right running shoes on hand. 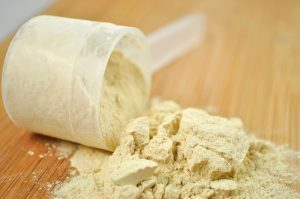 If you are a weightlifter, then you may want to ditch your gloves in favor of chalk so that you can lift weights for longer. For those that are looking to increase the intensity of their workouts, a weighted vest will be the way to go. The advantage of BCCA supplementation is that it will prevent muscle loss from intense workout and cardio training. BCCAs consist of 3 essential amino acids leucine, isoleucine, and valine. The promote protein synthesis as a result you will get more muscle mass. They are anti-catabolic which means they prevent muscle break down for energy. They also reduce the recovery time after your training. Caffeine is always a good stimulant for both your heart and brain. Taking caffeine 45 to 60 minutes before your workout can boost your endurance, metabolism and also the focus on training. A recent scientific study, from the University of Nebraska (Lincoln), found that participants who took a caffeine as a pre-workout before their workouts are able to increase their one rep max on the bench press by 5 pounds. In a report published by Sports Medicine Magazine refers to caffeine as a “powerful ergogenic aid,” and recommend the athletes to take caffeine before training so that athletes can train at a greater power output and/or train longer. It doesn’t matter what kind of exercise that you do, you can always benefit when your body is more pliable and is able to move better. So, how can you manage this? Well, a number of athletes, bodybuilders, and other fitness experts recommend foam rolling as a solution. This is because it is a great way to warm your muscles up, thus being able to perform each exercise better. What’s more foam rolling has proven to be incredibly useful when it comes to preventing injuries. It can cut down on tightness, soreness, and can even help to reduce muscle damage. 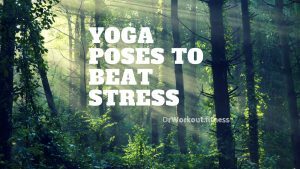 So, not only are you able to work out more efficiently, you will also be able to feel better afterward. You have probably heard of the saying “a chain is as only as strong as its weakest link”. Well, this theory can be applied to the human body as well. The thing is, most people tend to ignore the areas on their body that don’t respond as well to various exercises. After all, it can be quite depressing to not see results, regardless of all of the hard work that you are putting in. This is why it is common to find yourself leaving these exercises for the last. Unfortunately, by this time, you are probably too tired and are not able to make as much of an effort as you should. So, you should start your workouts by focusing on your weak spots. Once you have taken care of these areas, you can then move on. Since you are able to do these exercises with more gusto, you will begin to notice that your previous weak points will actually begin to improve. 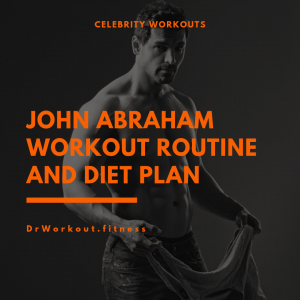 If you want more motivation for gym workout, or you simply want to get more from each and every workout you do, then one brilliant move that you can make to achieve your goal is finding a workout partner. When you are really giving it your all and straining your muscles at the gym, the last thing you want to do is to actually concentrate on what you are doing. Instead, it is a lot more pleasant to distract yourself by thinking of other things. Now, while this may help you to make it to the end of your workout, you may be losing out on an important advantage. 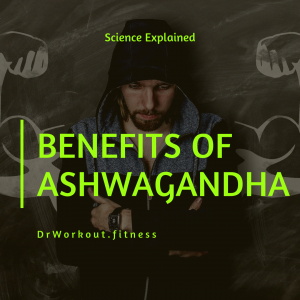 See, the mind has a powerful effect on muscles, so just by simply thinking about the muscles that you are using during your workout, can improve the effects of the exercise. Just how good are you at keeping track of your workouts? Now, most people simply make a note of the number of reps and sets that do with each exercise. While this is a good start, it isn’t actually going to provide you with too much feedback. To really understand what you are putting your body through every time that you exercise, you should be monitoring statistics such as heart rate, distance run, etc. Now, it can be tiresome to try to keep track of these factors by yourself. This is why you should get yourself a smartwatch that can monitor all of these elements for you. Wearable tech such as this will simply record this information and store it for you so you can see whether you are actually pushing yourself as hard as you should be. You can then decide if you need to kick your workouts up a notch or can continue at your current level. 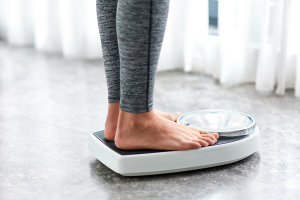 Whether you are aiming for weight gain or weight loss tracking the calorie intake very important when it comes to weight training. For achieving your body fitness goal you have to have a decent idea of what you’re putting into your body. You may use our daily calorie intake calculator to determine your daily maintenance calorie intake. It will also show you healthy calorie intake for both weight gain and weight loss. If you are tempted to switch to a strategy that pushes you to work out every day, as much as possible, you should really rethink this routine. See, your body needs rest and this period of relaxation can help to improve your physique. 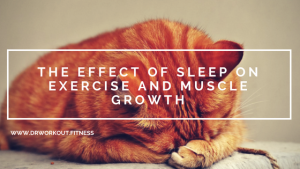 This is because you are allowing your muscles the time that they require to adapt to the stress that you have put them through. It also helps your body to recover so that it is able to perform just as well, the next time that you exercise. So, it is important to take a break after your workout so that you are able to continue going at the same pace as before. 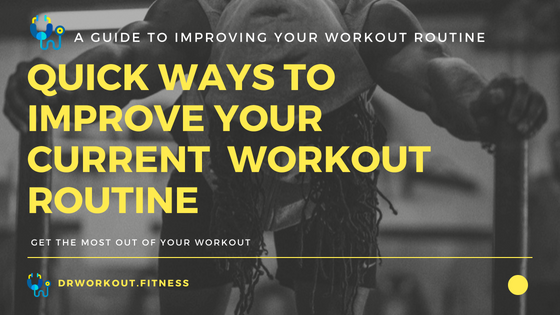 There are lots of different ways that you can improve your current workout routine. By following any of the tips mentioned here, you are sure to notice an incredible enhancement in your body and fitness level. What strategies did you employ that I didn’t mention here to improve your Workout routine? Share your thoughts below. Tracey: Dedicated to fitness and exercise, Tracey is constantly refining her techniques and routines in the quest to find the perfect regimen. She shares her knowledge and findings by writing fitness articles for other exercise and health enthusiasts. Tracey recently wrote about the best rowing machines for a full-body workout. Check out her post.